Who Knew a Bunch of Motorcyclists Could Be So Important to NH’s Economy? If you are one of the thousands of people who suffer from ochophobia (an extreme dislike or fear of large crowds), you may not want to read any further. Each year, during the nine days beginning or culminating with Father’s Day, Laconia and environs host one of New Hampshire’s premier tourism events—Laconia Motorcycle Week. My introduction to this event—then operated as a motorcycle weekend—occurred on Father’s Day in 1979. I had just been invited to interview for a faculty position at Plymouth State College. With great trepidation, I drove my 1975 Ford Granada north from Hamden, Connecticut. What was the source of my concern? This was the height of the decade’s second gasoline crisis. Fearing that I would soon run out of gasoline, I made the decision to leave I93 at exit 20, in search of fuel. It proved to be a good news-bad news situation. To my surprise, there was an open service station within yards of the exit ramp. However, to my shock, the parking lot was inhabited by hundreds of denim and leather clad motorcyclists. Faced with a decision— to alight or take flight—I waded right in and filled my gas tank. Several hours later, when I questioned my hosts, Wes and Nancy Dow, about the huge motorcycle gang down the road in Tilton, they laughingly educated me about the concept of a motorcycle weekend. I first met Charlie St. Clair during the 1990s. A Laconia native, Charlie and his longtime associate, Jennifer Anderson, are the leadership of the Laconia Motorcycle Rally and Race Association. Some might have preconceived notions about people who manage a motorcycle event. In fact, both Charlie and Jennifer are college-educated, intellectually savvy people with a variety of scholarly and social interests. Together, the pair has rallied much more than droves of motorcycle aficionados. They have steadfastly countered the skepticism of naysayers to convince local businesspersons and law enforcement officials that the benefits to be derived from producing a world class motorcycle event far outweigh the potential negative consequences. Despite its magnificent lakeside setting, Laconia had long since become a footnote in the state’s tourism activity when I first visited the local chamber of commerce in 1980. At that time, I was informed that the chamber was devoting its collective energies toward attracting manufacturing and other commercial enterprises. Tourism was no longer on their collective radar. It was apparent that a dramatic kick start was warranted. During the last two decades, Charlie and Jennifer have worked closely with a newly energized group of tourism-oriented businesses, retail establishments, government and law enforcement officials, and others to grow Laconia Motorcycle Week into the vital event it is today. Their Laconia Motorcycle Rally and Race Association is charged with organizing and scheduling an exciting array of events, licensing a growing list of vendors, and tirelessly promoting the event worldwide. How significant is Motorcycle Week to New Hampshire? While past estimates of numbers of visitors have seemed inflated, it is safe to say that somewhere in the vicinity of 200 thousand motorcyclists and enthusiasts will be visiting the state over a nine-day period this year. Those visitors will substantially broaden New Hampshire’s peak visitation period, while injecting more than $100 million into the state’s economy. 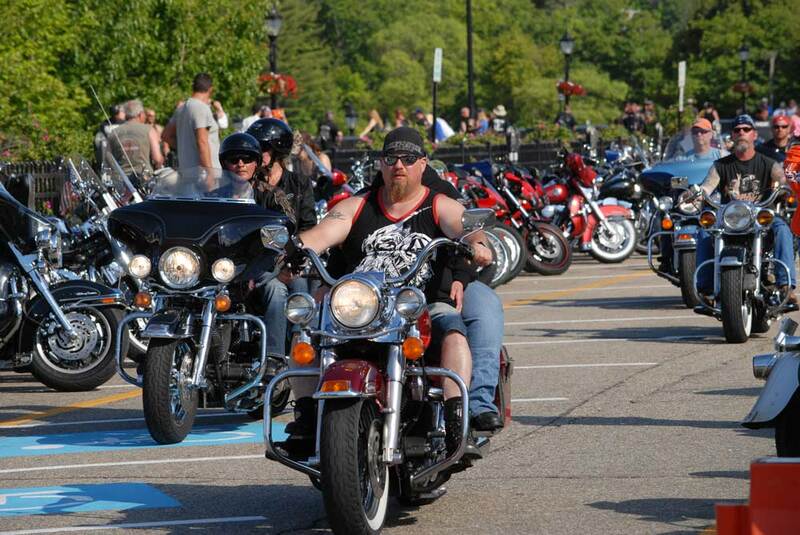 Moreover, the impact of Motorcycle Week will be felt far beyond the boundaries of the state’s Lakes Region. 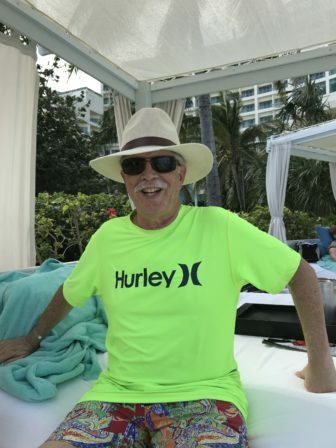 For years, lodging owners between the Massachusetts border and the Notches have reported that 10 percent or more of their income is received during this single mid-June week. With a plethora of noise, fashion extremes, and outlandish behavior, Laconia Motorcycle Week isn’t everyone’s cup of tea. However, whether or not you’re a fan, the state is fortunate to host it. Welcome and Bienvenue, motorcyclists.